Well there ya go, I didn’t know rabbits were native to Spain and France, not the UK! 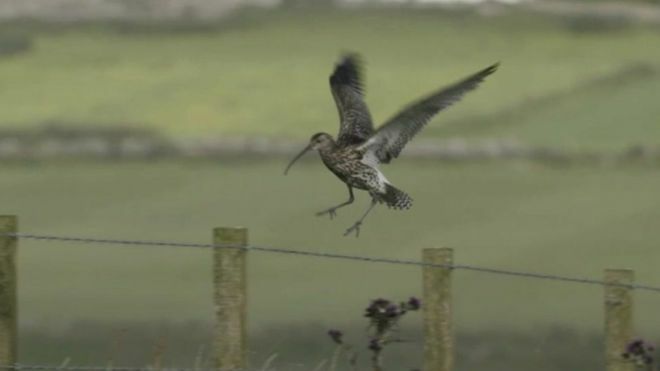 The number of curlews in Wales has dropped by 80% since 1990 with farming practices partly to blame, a charity has said. RSPB Cymru has called for farmers to be rewarded for creating suitable habitats for the bird when a new payments scheme comes into force after Brexit. It is estimated only 400 breeding curlew pairs are left in Wales. The Farmers’ Union of Wales (FUW) said nature should not be prioritised at the expense of the rural economy. RSPB Cymru has been working on National Trust-owned land in Ysbyty Ifan, Conwy county, to restore curlew habitats. It claims the bird’s decline was due, in part, to farming practices. “[It is linked to] how hay is harvested as silage earlier on in the year, but there’s also been a decline in invertebrates, which is food for the curlew,” said Sabine Nouvet, an ecologist with the trust in Snowdonia and Llyn. The Welsh Government has consulted on proposals for the agricultural payments system – due to replace the Common Agriculture Policy – and will consult further later this year.